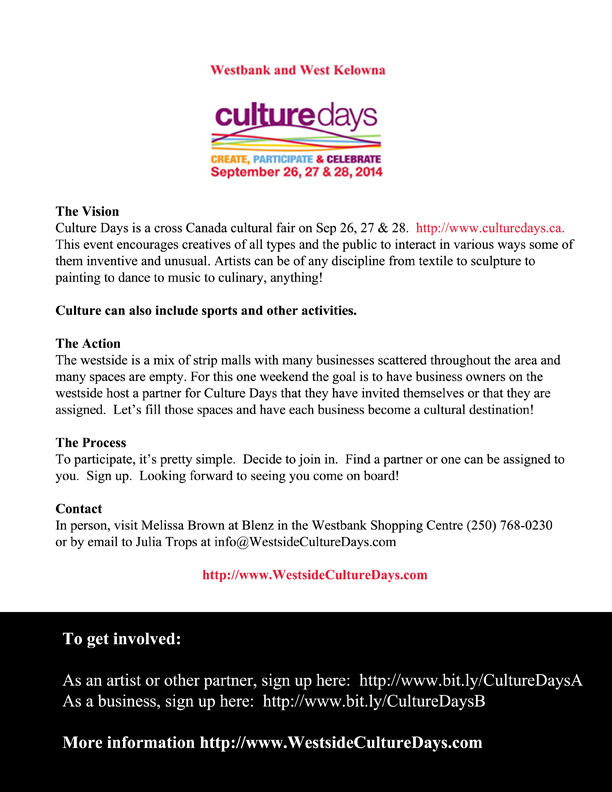 Westside Culture Days September 26 27 28, looking for Cultural partners! http://www.WestsideCultureDays.com Please pass on to your artist contacts. Hi to all, just a small reminder that you can keep up to date with sessions, meeting and exhibitions with the Livessence website. http://www.livessence.com. This Saturday, May 3, there will be no drawing. Next drawing session is May 10. All members are also welcome to send three photos of their work to be included on the website. For those of you who already have websites, this is a perfect opportunity for an inbound relative link, which helps your site out a great deal. The AGM is coming up on May 17, if you are attending, please RSVP ASAP but by May 10 for sure, so that we can have a nice lunch available for you as a returning member. If you would like to stay involved and support the group, consider joining as a member to keep your toe in the water. We would love to see you back at the sessions and in the exhibitions. Please note the drawing session on May 3 is cancelled. Regular drawing, regular session will start again on May 10. If you have not got your Artwalk information to Jaine, please do so now. Reminder that Saturday Feb 1 Drawing Session is closed for model training. The exhibition Dance and Movement is on at the RCA now until December 30. The reception will be Saturday December 7th, 1-3 pm and many of the artists and members will be in attendance. Works are for sale, and may be purchased through the RCA front desk. If you love dance and you love movement and music, this is the show for you! Many of the works are done from life, and all are based on the beautiful lines and grace of the human form. Members, you can pick up works on December 30 from 10 to 6 pm. I would like to invite all the members of Livessence to an open house at Roberts Custom Framers Gallery on Nov. 28th from 4:00 pm to 9:00pm Refreshments will be served . Some of Livessence members will be exhibiting in the gallery.